Tour de Piramida – this Tuesday!! This Tuesday the 28th of February 15:00, Moritz Geremus will give a guided tour through the exhibition “Pyramids”. Discover how 14 Artists from different countries reflected on Albania, and how their residence of 4 weeks turned diverse results of exceptional art! Each artwork will be thoroughly analyzed, in order to bring new perspectives of viewing the different pieces inside Tirana Ekspres. The tour starts 15:00 at the exhibition space, please be on time! 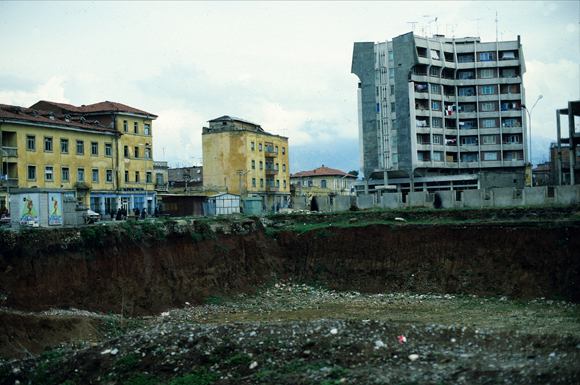 20 February 1991 has remained in the historical memory of the Albanian people as the day when the country’s most central monument for dictator Enver Hoxha was pulled down, carried out by a crowd of hundreds of people, decapitated and towed around town behind a police truck that was hijacked by two young protesters. 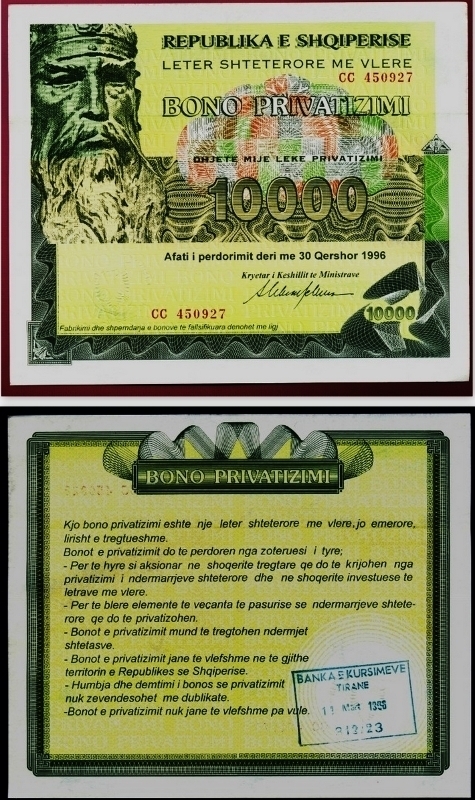 From 18 to 20 February 1991, 700 students entered a hunger strike because the party leadership refused, among other things, to remove Hoxha’s name from the state university. Accordingly, supported by thousands of citizens of Tirana and all Albania, the University of Tirana decided to drop the dictator’s name. 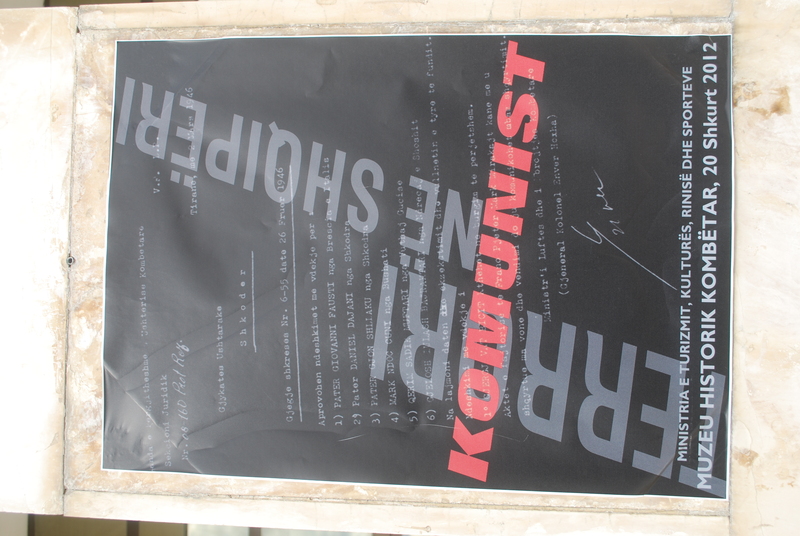 Calls for the union between Albania and Europe became a symbol of the student protests. As mentioned before, the spectacular climax of the protests was the collective destruction of the gigantic Enver Hoxha statue, located on the capital’s main square. When taking in consideration the opposite paradigms of the “spontaneous destruction by the people” and the legal and regular elimination; the distinction between iconoclasms “from below” and “from above,” we may conclude that the toppling of the Enver Hoxha statue was definitely one “from below.” The police tried, without any success, to protect the statue from the surging crowd of “iconoclasts.” on television Hoxha’s successor Chief of State Ramiz Alia condemned the historical event as vandalism. Of course Alia’s words made no sense at all. I would like to refer to Dario Gamboni’s book The Destruction of Art: Iconoclasm and Vandalism since the French Revolution, in which he defines the distinction between iconoclasm and vandalism by characterizing the first as a senseless, gratuitous act perpetrated by the uneducated; in contrast to iconoclasm, which indicates an intentional, dominating act aimed at change. 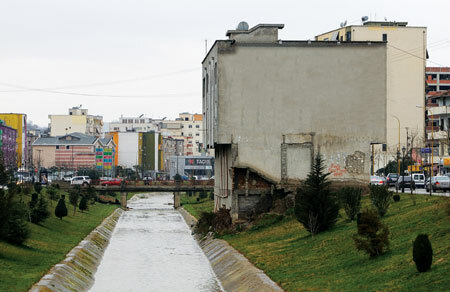 In 2000, restoration of the Lanë river began. Only one house was left to stand. It would take a decade for this house to be taken down too. 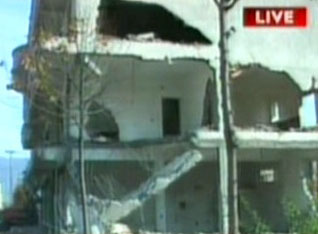 In the year of 2010, the municipality of Tiranë started demolishing the last house. For all these years it had functioned as a symbol of the Kanun being still active in present-day Albania, for this house was sheltering a family that had incurred the blood-feud (gjakmarrja). Although the place was shelter only to women and children, they may become a victim (ngujuar) in the feud between the men sometimes. Thusthe old Kanun states that “blood follows the finger”, and only the murderer itself must be revenged by the family of the victim, the later Kanun states that all males in the family of the murderer can be revenged, even an infant in the cradle. Women are excluded from the feud since when a woman is killed, her parents incur the blood. Is religion an important part of your daily life? Have you attended a place of worship or religious service within the past 7 days? poll conducted worldwide in 2008, by Gallup Inc. 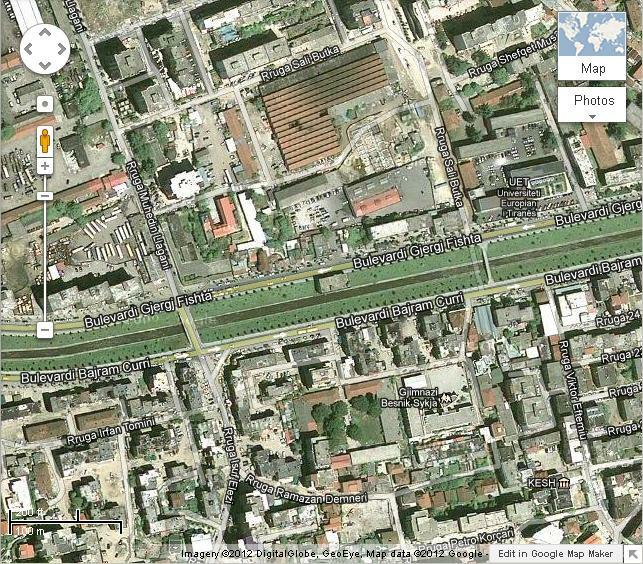 Many Albanians have heard about the existence of a foundry in Tirana. It is a place where all monumental sculptures where casted during the communist era. Amongst others the bronze representations of Enver Hoxha, Joseph Stalin and Vladimir Lenin found birth here and remarkably enough some prominent statues returned to the foundry after the communist state had exploded. Though only few people know the exact location. From conversations with locals I got the impression that barely anyone who lives here is interested in the iconographic remains that are hidden all around and remind of the local history. 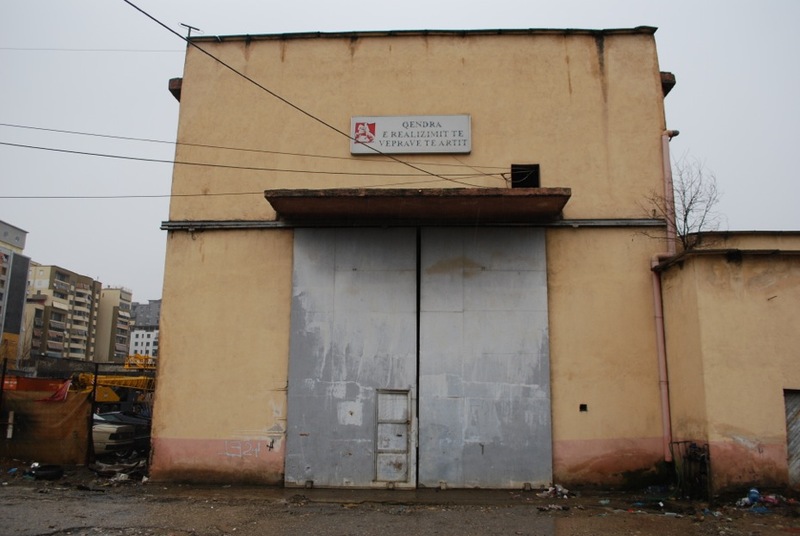 Luckily enough I got into contact with someone who was willing to show me in which direction I had to search in order to get to the foundry and so accordingly I found out that it is located just outside the centre of Tirana, surrounded by a gypsy camp. There was nobody to open the gate so I climbed through one of the broken windows to gain access to the building; an activity in itself that touches the subject of ‘urban exploration’. See the pictures below for an impression of the environment.